1.) 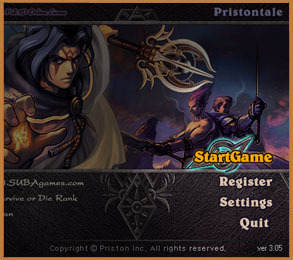 This is the opening window for Priston Tale. You can start the game by clicking on the Start Game button. 2.) 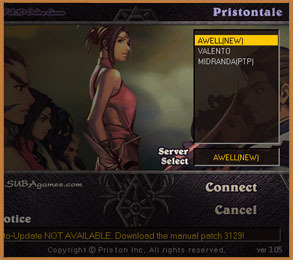 Next is the Server Selection screen. 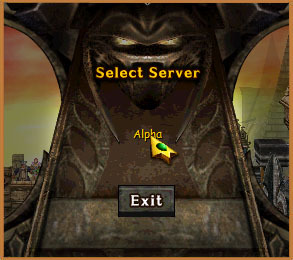 Choose the server you wish to play on and click Connect. 3.) 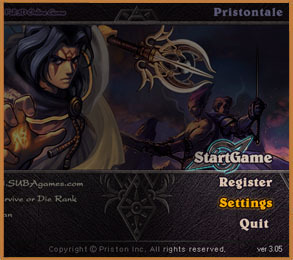 The game will load and a Login Window will appear. 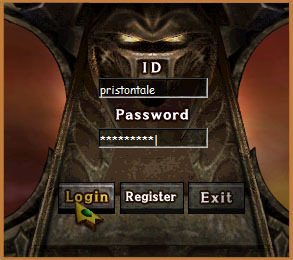 Please input your Login ID and Password here to continue. 4.) Next, select a channel you wish to play on. You will find yourself on the Character Selection screen. 5.) 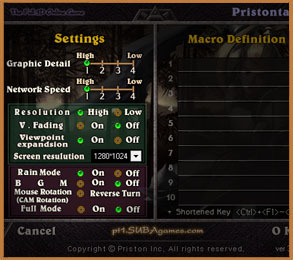 To change the settings for Priston Tale, please select the Settings Button on the Priston Tale Launcher. 6.) You can adjust the graphical level and network speed here. Also, the option to change the background sound and camera controls.